Empoli vs Genoa predictions ahead of this Serie A clash on Monday night. Can the visitors end their awful away form? Read on for our match preview and latest free betting tips. Empoli’s survival chances are put to the test on Monday night, as they host Genoa. The visitors have been in awful form for the last few months, and that was with their star striker on board. Now they’ve sold Piatek to Milan for £35million, losing a man who scored over half of their league goals this season. Without him, the Grifone face a tough end to the campaign. Will they avoid being pulled into the fight for survival, or are they going to drop more points in the final game of the weekend in Serie A? Empoli had a blip towards the end of 2018, but with an under-performing bottom three they’re still out of the danger zone. The Azzurri are three points clear of Bologna heading into the weekend, and they will be out to add three points to the board in a winnable home encounter. They have made strides forward under boss Giuseppe Iachini, who took them out of the bottom three after an awful start. Can he get the club back in form in 2019? Genoa have a huge task in the coming months, as they look to replace the revelation that was Piatek. Few would argue with getting 10 times your investment in an unproven forward, but what could it cost them in the long run? They need to find a new man to lead the line, having just turned to the Pole to solve their longstanding issues at centre-forward. They’ve lost their key man far too soon, and they’re set to name an 11 who have scored just nine league goals between them this term. 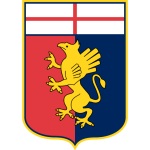 Genoa have earned just four points away from home in Serie A this season, the joint-lowest tally (alongside Empoli and Chievo). That marks them out as a beatable side for Empoli, especially given the Grifone’s record against the league’s lower ranked sides. Genoa have lost six of their last nine matches away from home against newly promoted teams in the top-flight. That could continue on Monday, given how bad the visitors are away from home. 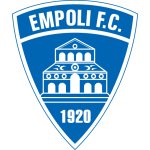 Empoli recovered some form by picking up a 2-2 draw with Cagliari last weekend, leading 2-1 until late on. Meanwhile, Genoa come here after losing seven of their nine away trips this term. We’re backing the Azzurri to return to winning ways at home, so we’re backing Empoli to take the points in a narrow 1-0 victory on Monday night. Empoli (18) and Genoa (17) have lost more points from leading positions than any other teams in Serie A this season. Genoa (21) and Empoli (17) have conceded the most goals in the first half of games in Serie A 2018/19. Christian Kouamé scored his first goal in Serie A in the reverse fixture vs Empoli (on his debut in the competition): after having had a hand in six goals in his first 14 appearances in Serie A, he has since been involved in none in his last six. Empoli’s Miha Zajc has scored in three of his last four starts in Serie A (three goals). The youngest midfielder to have made at least 12 appearances in the current Serie A season is Empoli’s Hamed Junior Traorè and the youngest defender with at least 12 appearances in this competition is Genoa’s Cristian Romero.